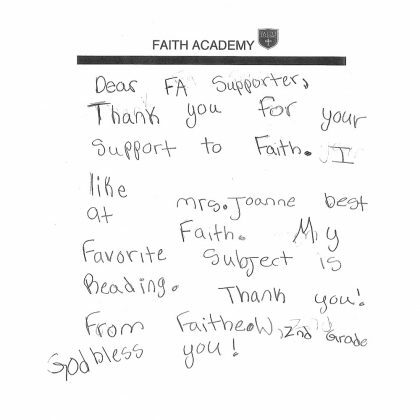 At Faith Academy we strive to create a community where children love learning and grow in godliness, we partner with families in raising tomorrow’s leaders with a focus on excellence. 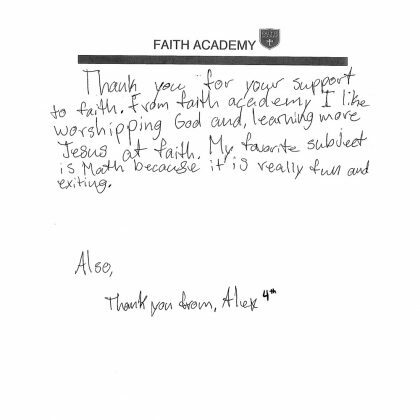 As a Christ-centered school community we strive to radiate with the gospel message, transform the community, and elevate the value of education and redemption. 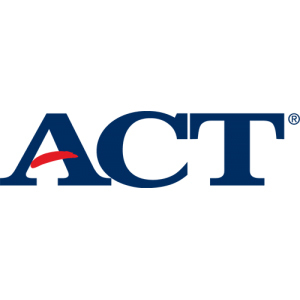 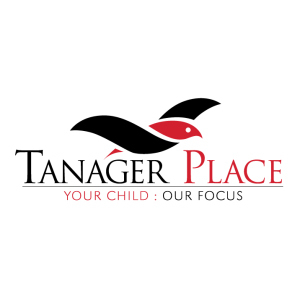 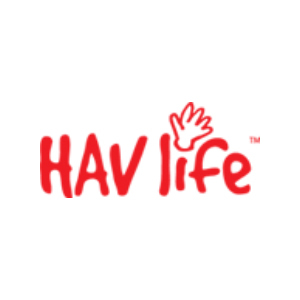 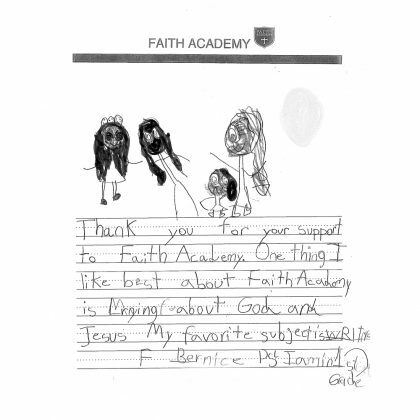 Faith Academy is committed to equip students in verbal and reasoning skills within a God-centered view of life. 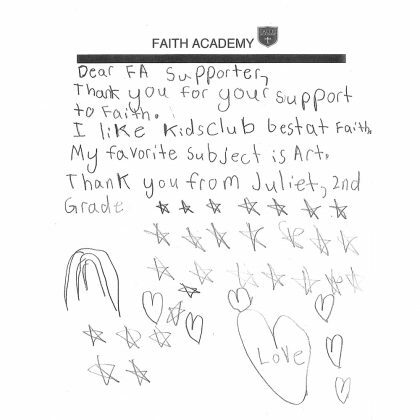 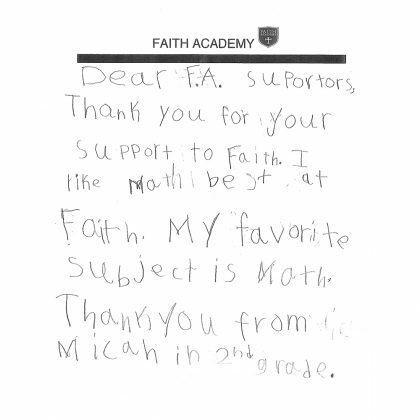 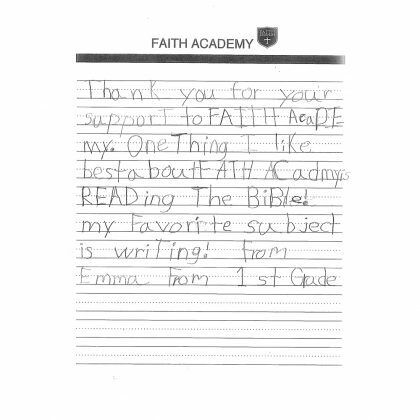 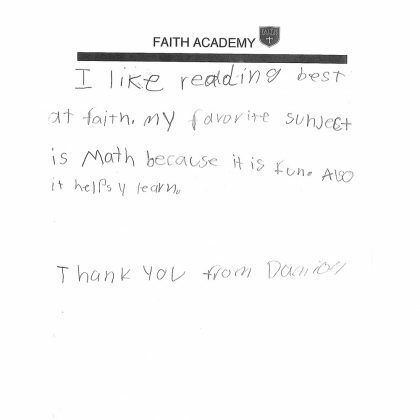 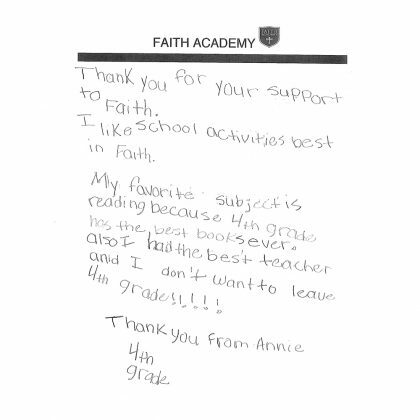 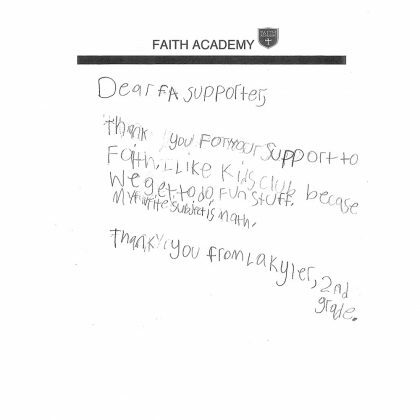 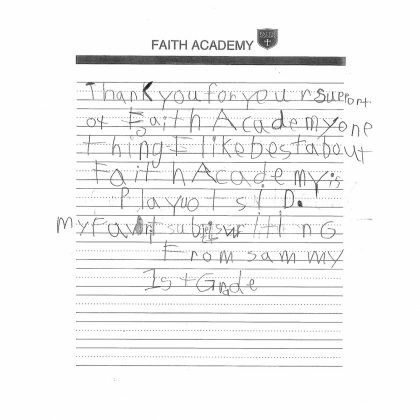 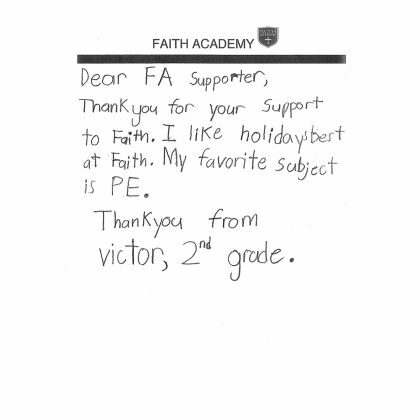 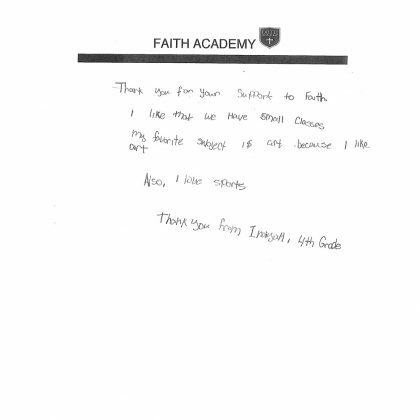 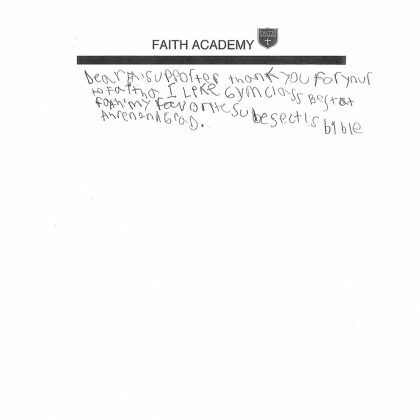 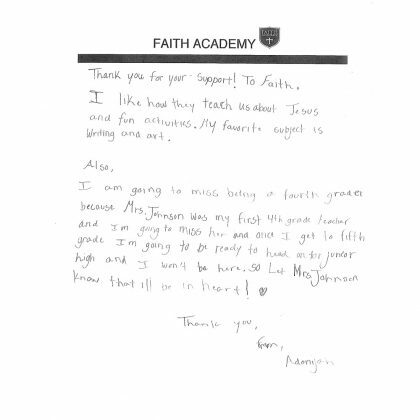 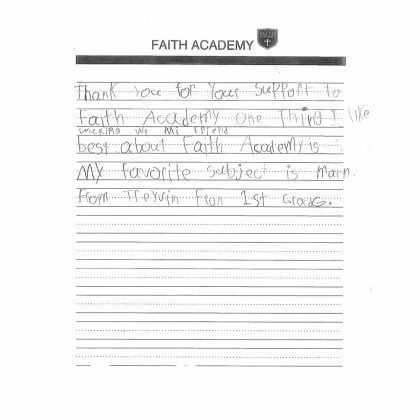 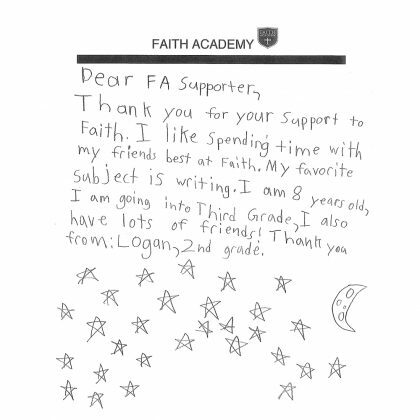 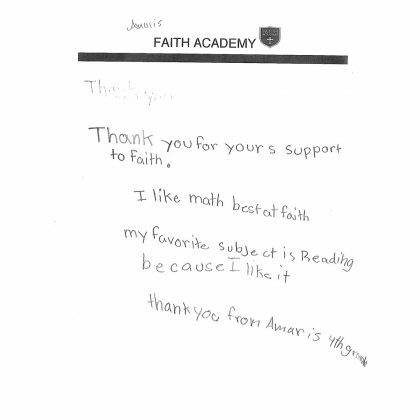 Faith Academy is funded by the generous donations of the people or our community and we are eternally grateful for their contributions. 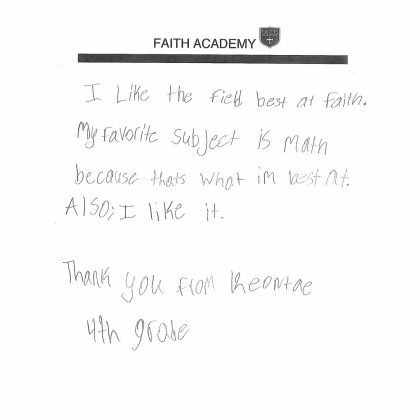 Learn more about enrolling at Faith including admissions deadlines and the application process. 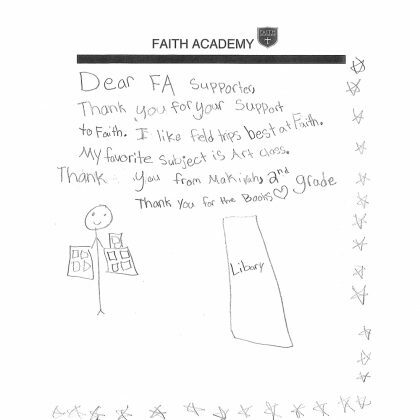 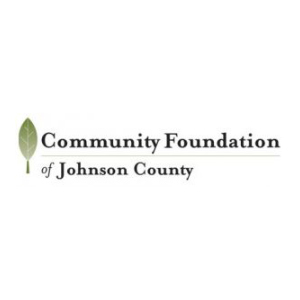 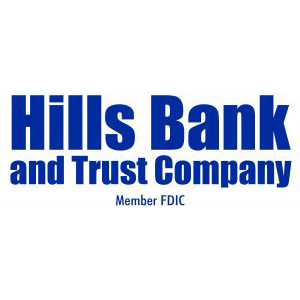 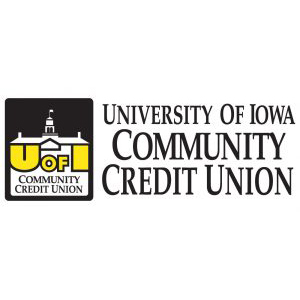 And hundreds of individual donors!